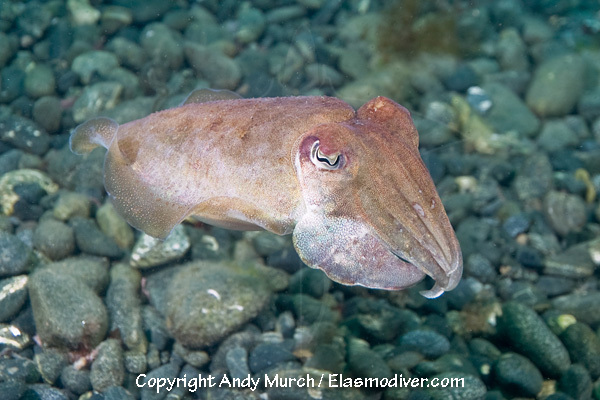 The common cuttlefish (Sepia officinalis) is one of four cuttlefish species that can be found in UK waters. Beachgoers often find cuttle bones among the flotsam that floats in on the tide and gathers at the high tide line. 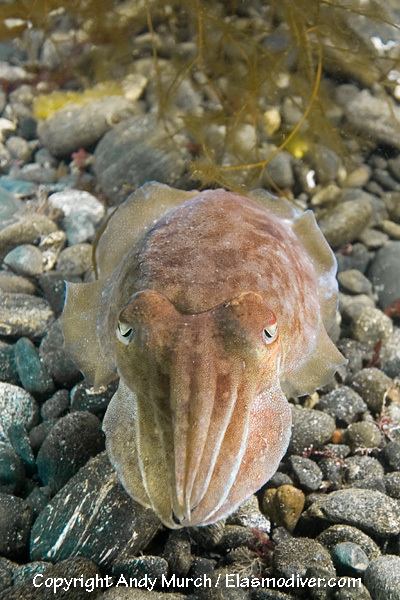 These common cuttlefish pictures are available for commercial licensing. For further information regarding usage please e-mail Elasmodiver. 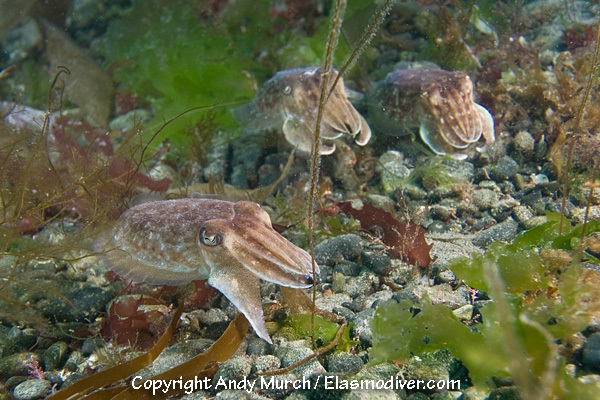 These common cuttlefish pictures (aka Sepia officinalis) were taken at Porthkerris Beach, Cornwall, UK. Porthkerris is better known as a starting point for basking shark trips.